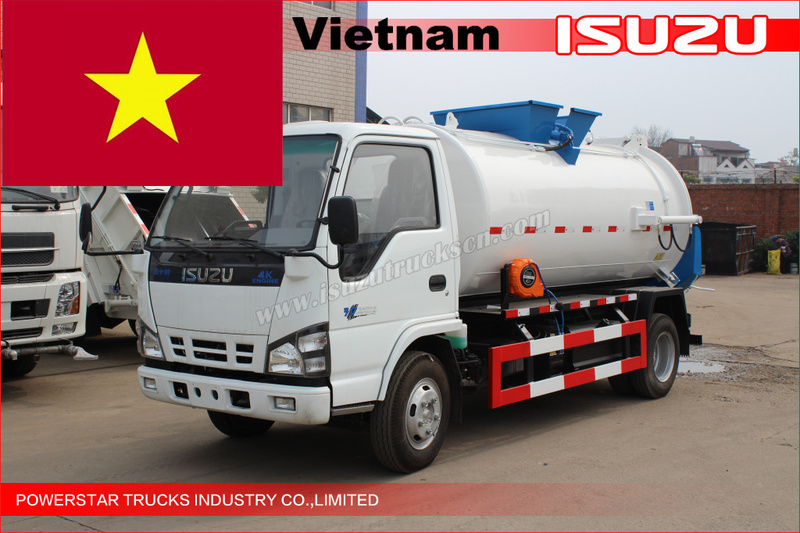 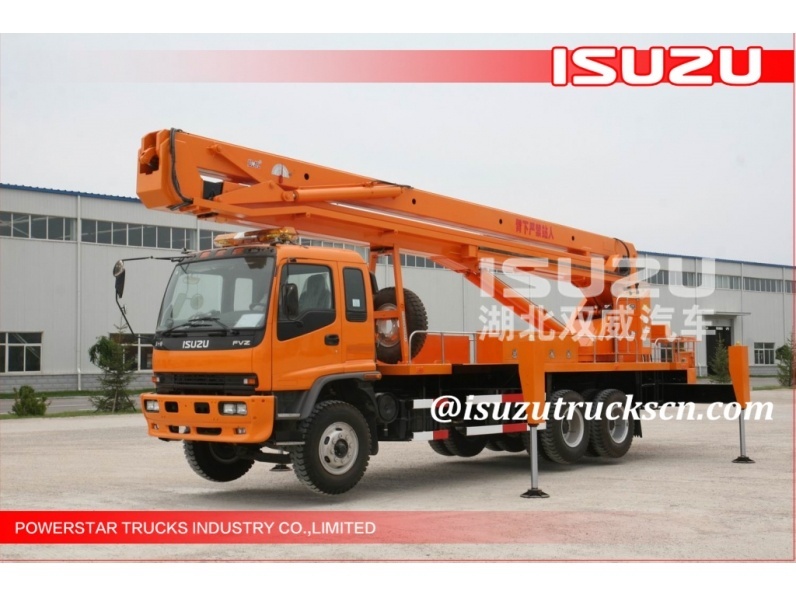 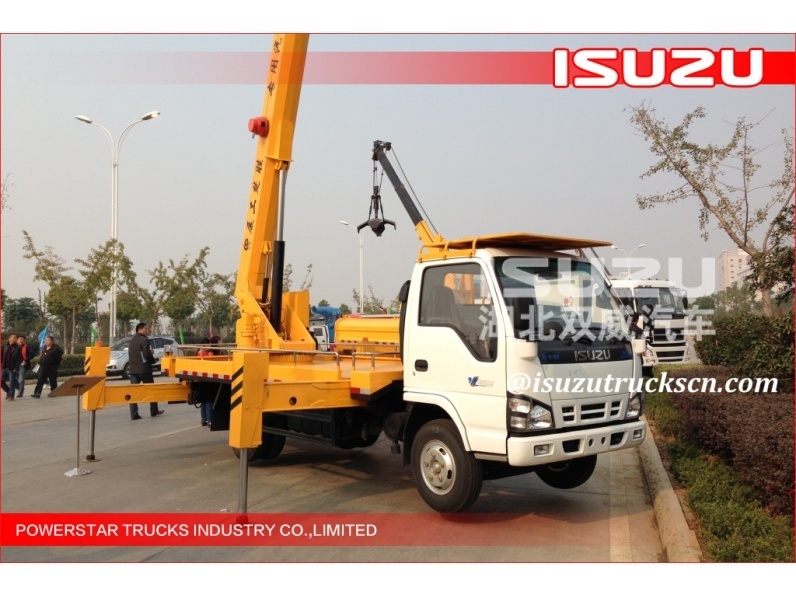 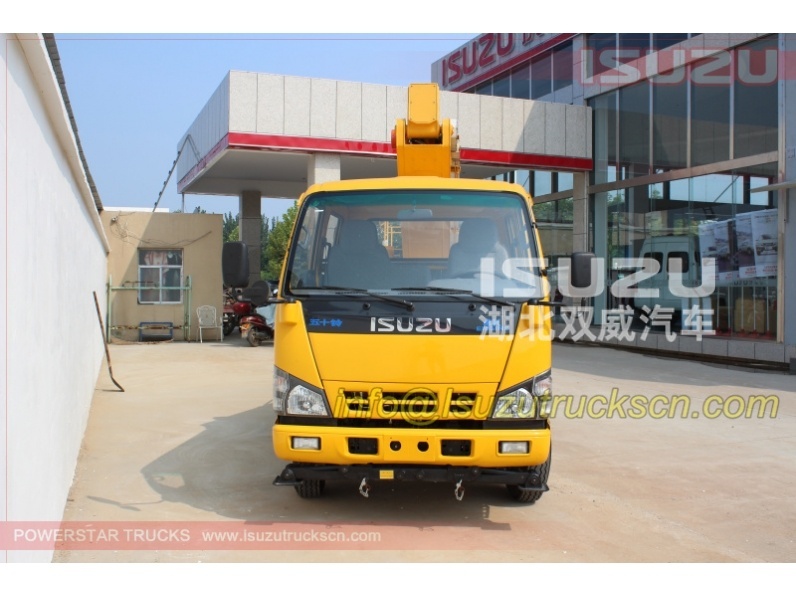 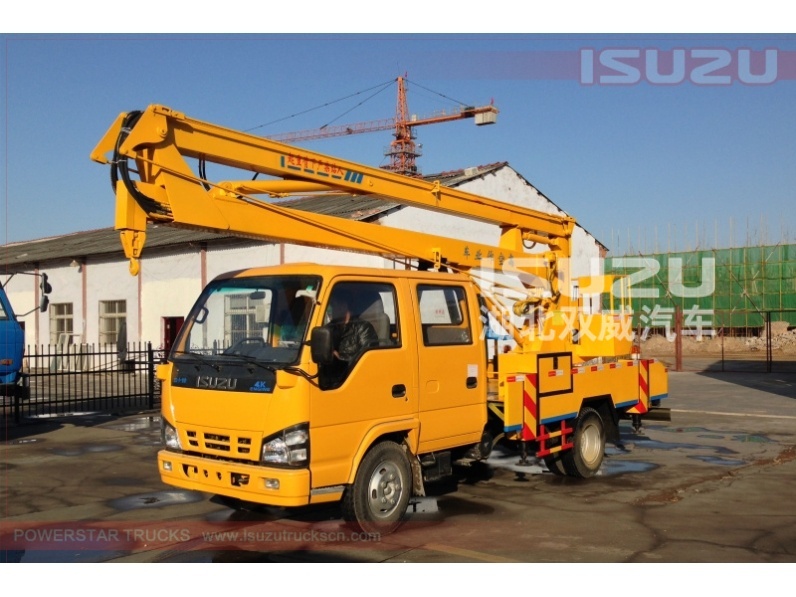 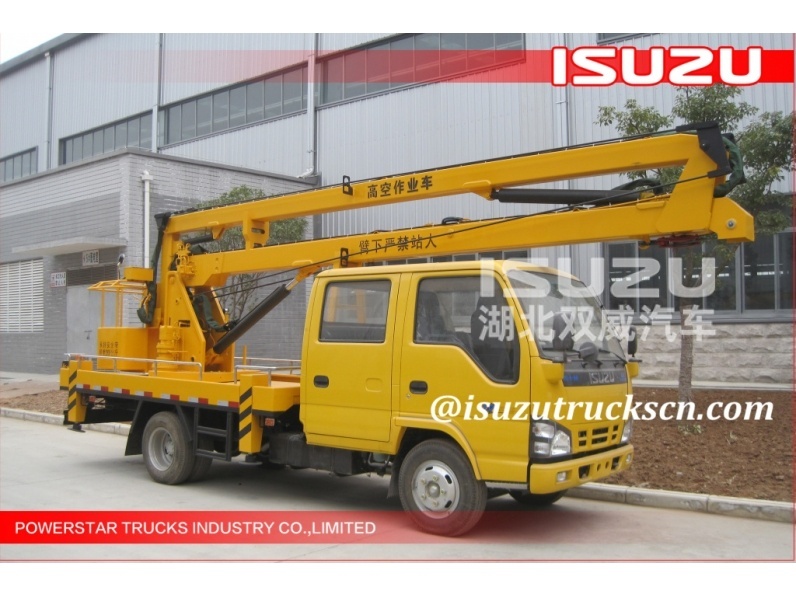 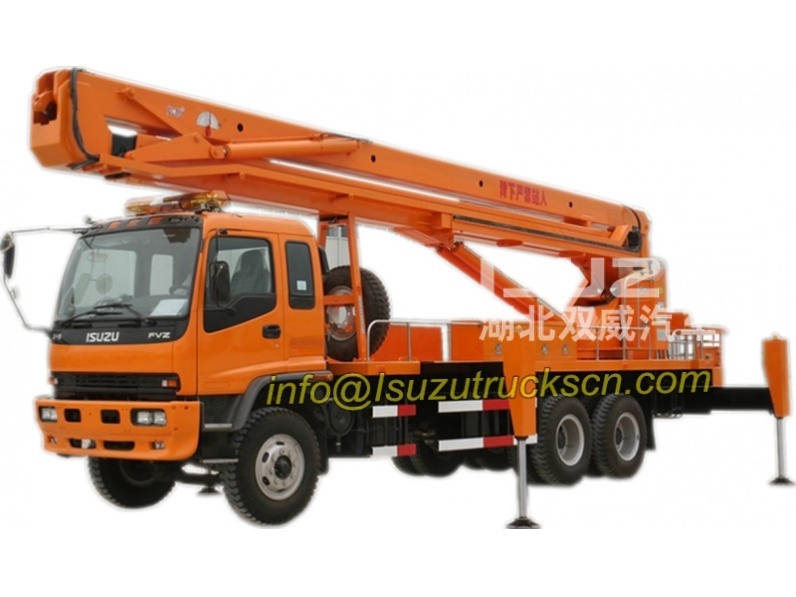 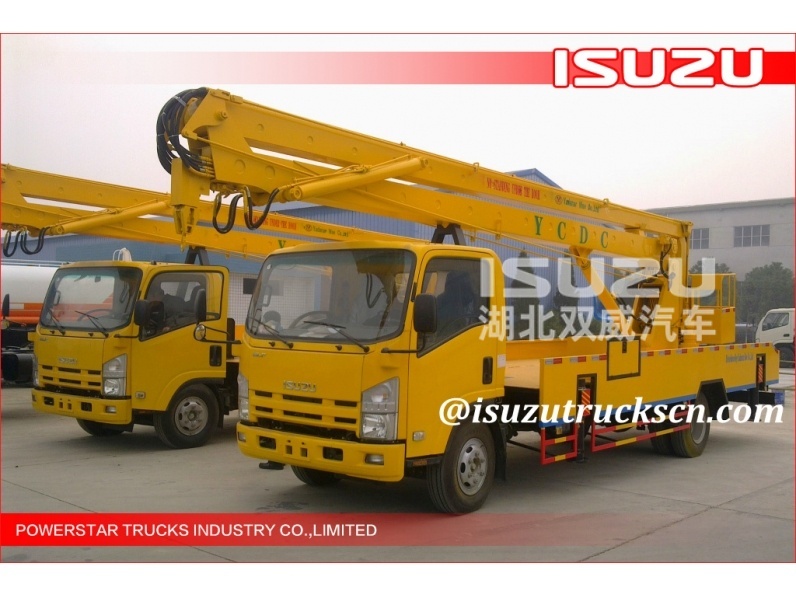 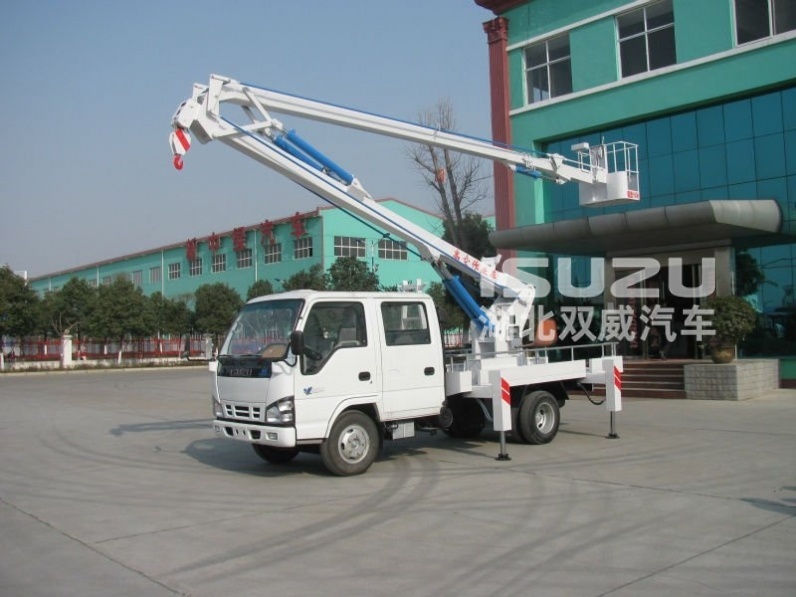 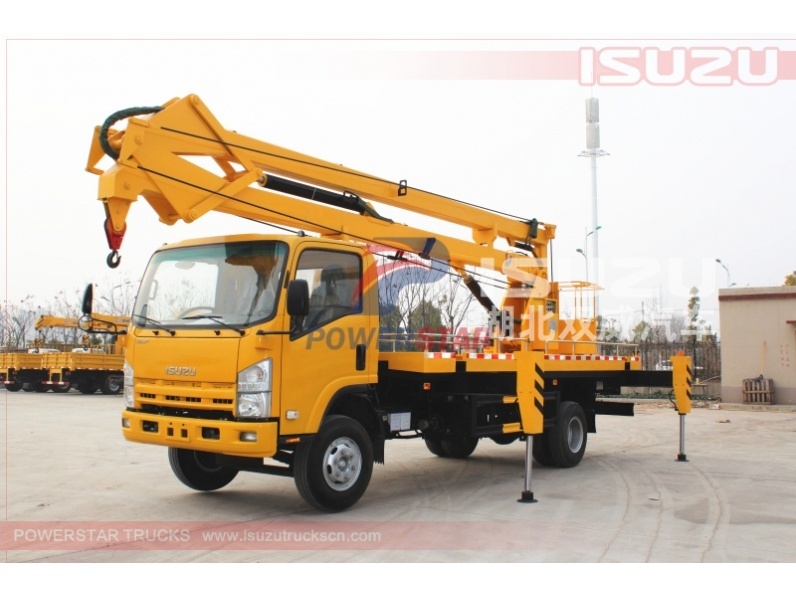 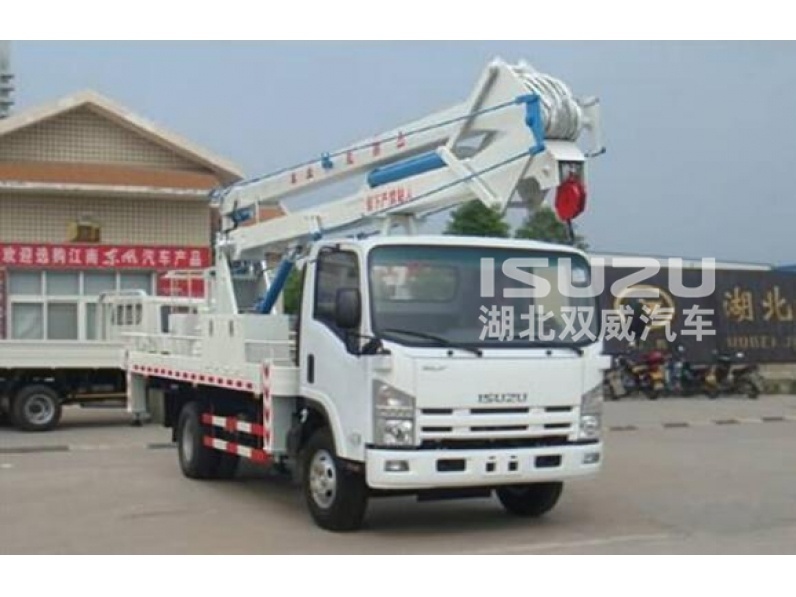 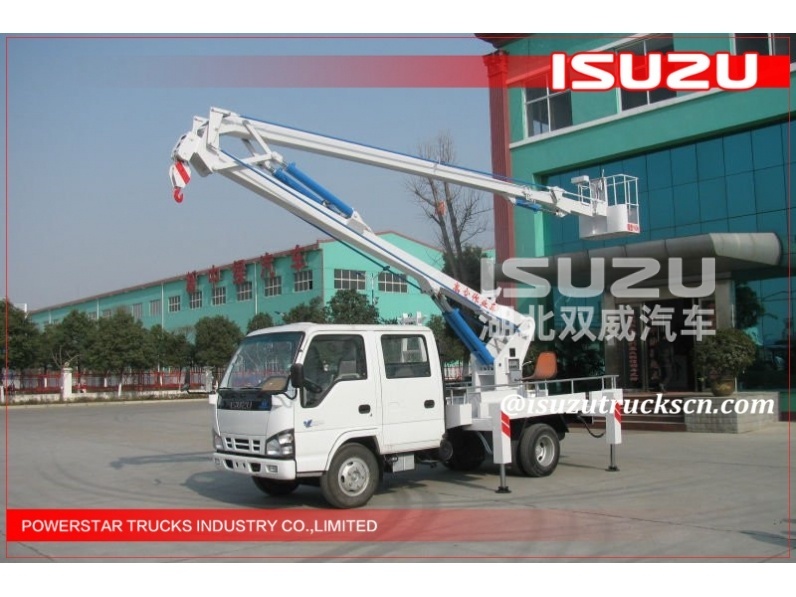 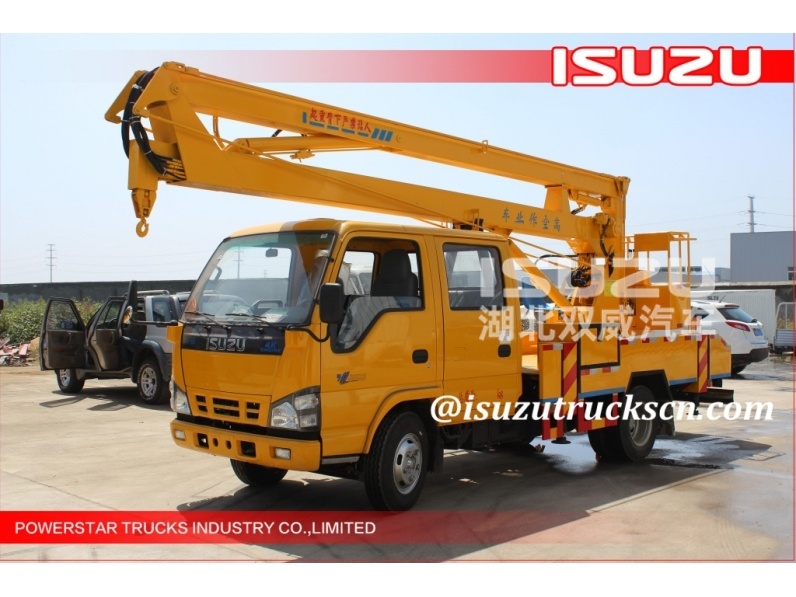 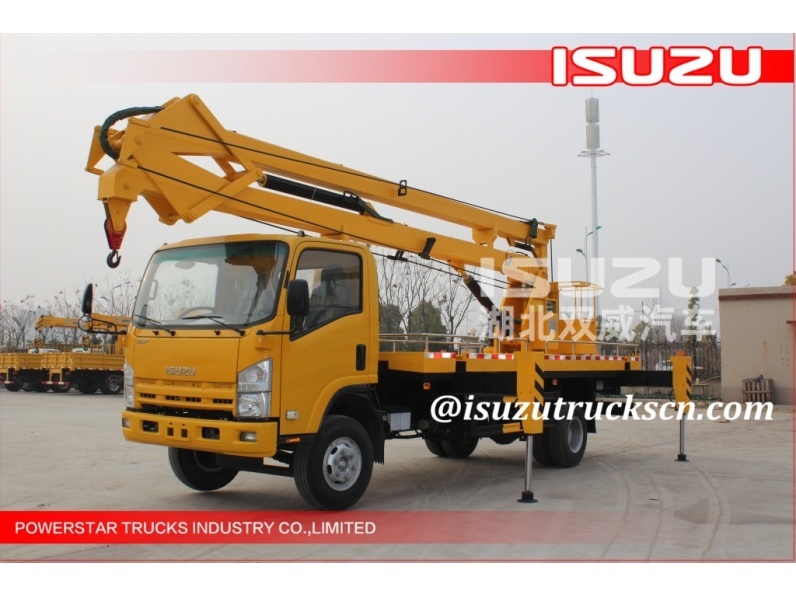 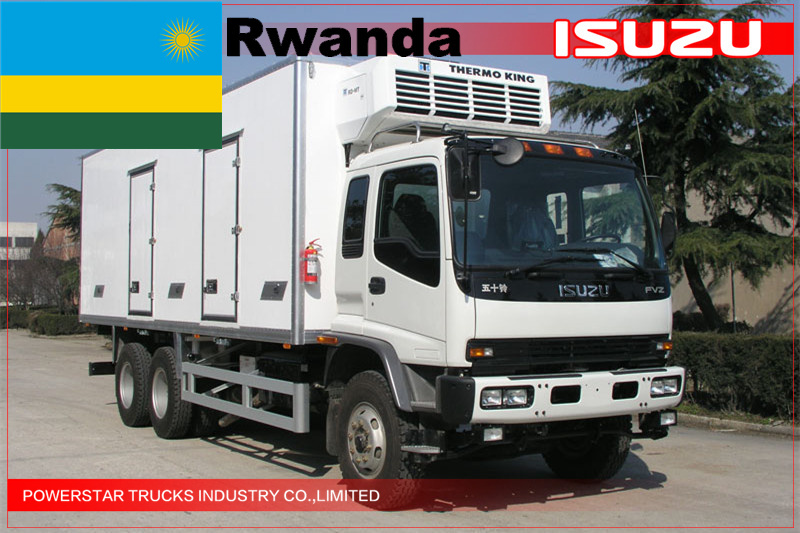 Manlifter Truck with busket Isuzu (also called Truck mounted aerial working platform, Manlifter vehicle, Japan 18M 20M telescopic boom crane truck, 20M bucket crane truck, High altitude operation truck etc.) 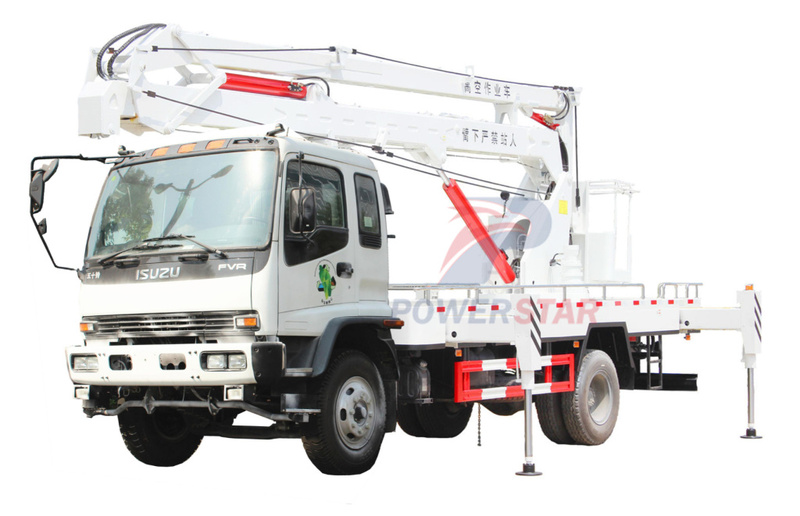 is ideal for maintenance of traffic lights, street lights, landscaping trees, cleaning/setting signboard and other high aerial works. 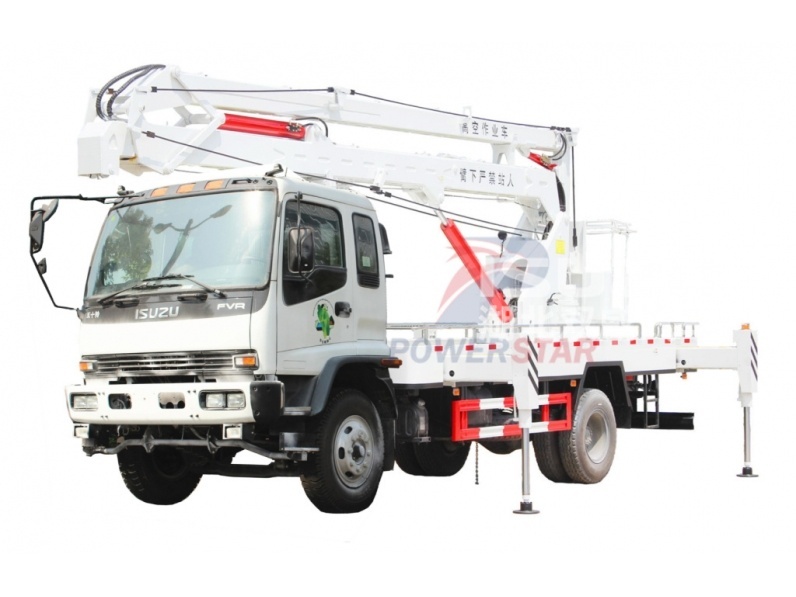 POWERSTAR Aerial platform trucks are available of 6m-8m, 8m-12m, 14m-16m, 18m, 20m-22m, 24-26m. 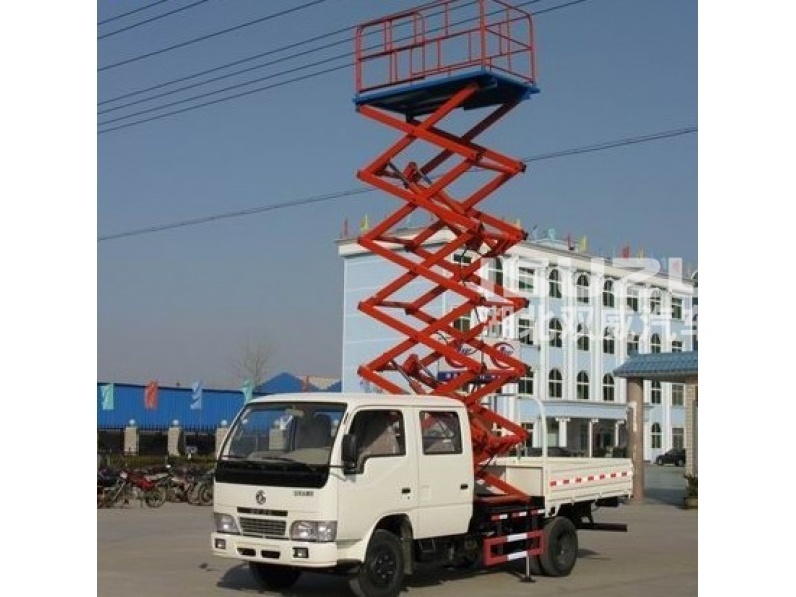 Insulated cage is optional. 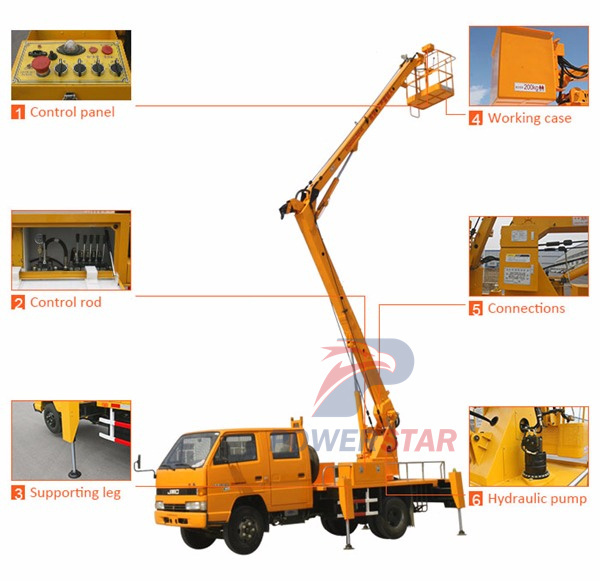 ---- Wireless remote control system is available. 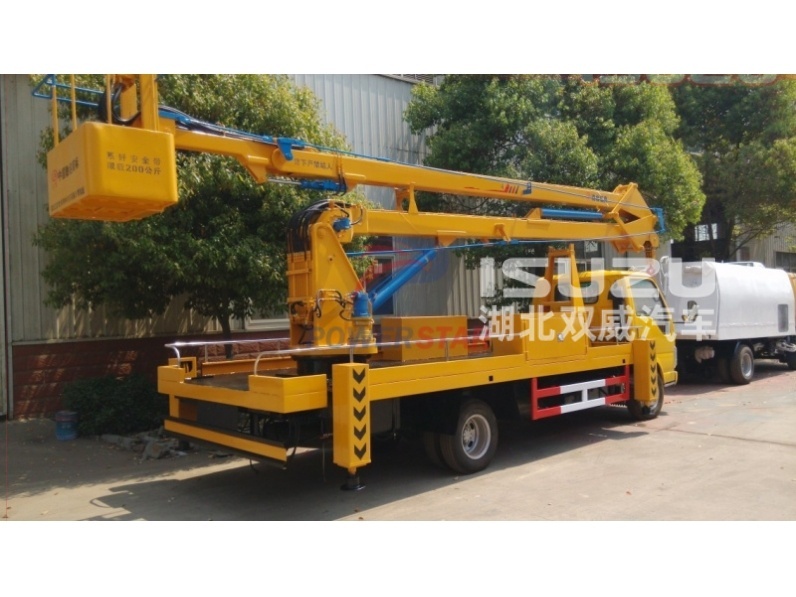 Slewing Slewing range is continuous 235° (minimum) with a slewing speed of maximum 15° per second.